According to a new report, a man was upset because the government official told him he didn't qualify for benefits. 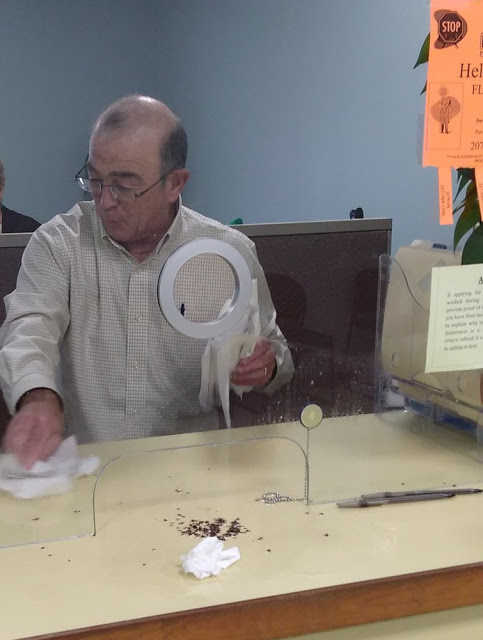 The man apparently slammed the cup full of creepy bugs on the counter and sent them flying all over the place. City said action was taken to try to contain and recapture all 100 or so bugs. City Center, which houses the city’s municipal offices, closed shortly after the incident; and later Friday, a pest control contractor was in the building, spraying to try to kill any remaining bedbugs. Bridgeo said Augusta police were called immediately and located the man. Bridgeo said he signed a criminal complaint and trespass orders against him and he anticipated the man, whose identity was not immediately available Friday afternoon, would be charged with a crime.